← Corgi Capers Book 3 in the works! I’m writing today about a special corgi and a special cause. This is Denby Dog. In 2005, the corgi lost the ability to eat, drink, or blink. Today, he faces another challenge: degenerative myelopathy, a progressive and incurable disease of the spinal cord. Despite all of his challenges, Denby Dog and his special person are still going strong–Corgi Strong!, as his Facebook page asserts. You can learn all about Denby Dog in this interview on Babble.com. As part of this cause, a corgi community on Facebook, led by Iron Corgi Maggie Thatcher, has come together with some great (and mostly dog-related) items up for auction. The money raised in the auction will go right to Denby Dog and his Person to help with vet bills. 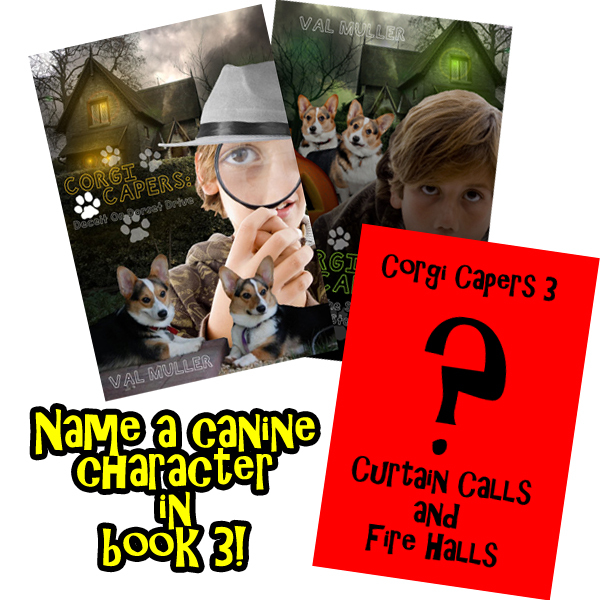 As part of this auction, I’ve donated something special: the chance to name one more character in the upcoming Corgi Capers 3: Curtain Calls and Fire Halls. Any and all money raised for this item will go directly to Denby, and I will send the winner an autographed copy of the book. You can find this item in the auction by using the link in the next paragraph. If you’d like to participate in the auction, check out Iron Corgi Maggie Thatcher’s Facebook page (here), and then go check out her photo album (here) that contains all the goodies up for auction. Bidding is open for the week. Posted on February 9, 2014, in corgi, corgi capers, inspiration and tagged auction, corgi, corgi capers, degenerative myelopathy, denby dog, fiction, name a character. Bookmark the permalink. Leave a comment.